The scope of Pemba’s output reveals the limitations of the generic term ‘township art’ which certain writers and dealers were quick to use to describe the work of emergent black artists. His work embraced portraiture, landscape, group compositions and genre works as well as historical subjects based on memory or his imagination. In the Campbell Smith Collection, Pemba is the sole black artist from the Eastern Cape. It has been observed that his work only really emerged from provincial obscurity as apartheid began to crumble. Although he had exhibited for many years, and had been included in The Neglected Tradition exhibition in 1988, he only really came to the attention of a largely white art-buying public when the Everard Read Gallery in Johannesburg exhibited his work in 1991. While the exhibition was a great success, it had a darker aspect which exposed mounting dealer opportunism in relation to the work of previously-marginalised black artists. A dealer by the name of Hans J. Weber had earlier visited Pemba in Port Elizabeth and purchased 178 of his paintings for R4 000, which he then sold to the Everard Read Gallery for an undisclosed sum. These were framed and sold for about 125 times what Pemba had initially been paid for them. As a compensatory gesture, the Everard Read Gallery paid Pemba 10% of the sale price of each picture. The 1991 exhibition had foregrounded Pemba’s oils, but it was not until 1993 that the showing of a cache of his earlier watercolours at the Highbury Gallery in Port Elizabeth revealed his even more impressive artistic powers. He was first tutored in watercolour by Ethel Smyth in 1931 at the University College of Fort Hare, and subsequently in 1937 by Professor Austin Wintermoore at Rhodes University. Pemba attributed his accomplishment in watercolour to Wintermoore’s insistence on sound draughtsmanship. The watercolours painted between c.1933 and c.1947 are among his very best works. This raises interest around the choice that he made, allegedly prompted by Gerard Sekoto (qv. ), to switch to oil painting. There is disagreement about where this crucial meeting of Pemba and Sekoto took place. Although himself a watercolourist of note, Sekoto held that it was too delicate for South African subjects, which he felt demanded a more robust medium. He also drew Pemba’s attention to the greater saleability of scenes of the ‘locations’ with the emergence of the ‘township’ genre. He also mentioned that white buyers placed a far higher premium on oils. Pemba’s images of indigenous South Africans of different cultures fit well within the genre of the ‘native study’ which was also pursued at this time by his contemporary Gerard Bhengu (qv. ), as well as by white artists such as Barbara Tyrrell (qv. ), Irma Stern (qv.) and Neville Lewis (qv.). While white artists went on formal expeditions to paint ‘the natives’, it is interesting to note that Pemba also felt compelled to mount an exploration of South Africa for this same artistic purpose, receiving an amount of £75 from the Bantu Welfare Trust in 1944 to cover his travelling expenses. Certain works in the Campbell Smith Collection reveal Pemba’s expert handling of watercolour, while others indicate how he first effected his shift to painting in oil. Zulu woman – unfinished symphony (1941), (plate 46) shows his initial broad underdrawing with underpainting in delicate washes in certain areas. Darker, more solid tones are selectively placed over these in order to give a sense of form. The sensitive face – the psychological fulcrum of the whole work – is the only ‘finished’ area of the painting, yet one senses that any further additions would have been superfluous. Xhosa woman smoking a pipe (1945), (plate 42) shows Pemba’s tentative exploration of the oil medium, using it in thin layers to achieve luminous effects on a primed board, much like watercolour. He initially resists the possibilities of thicker paint and the use of white as an additive colour at this time, until his mastery of oil becomes more accomplished and deft, as in his urban landscapes Gelvandale (1957) (plate 49) and New Brighton (1960) (plate 48). 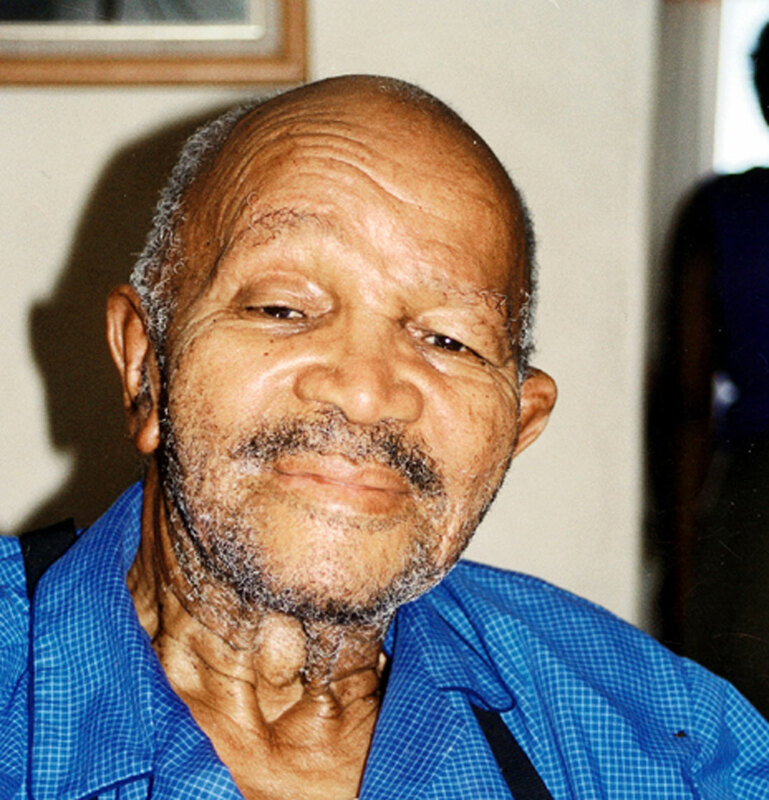 Pemba’s Retrospective Exhibition at the Iziko SA National Gallery in Cape Town in 1996, with a scholarly catalogue as well as the subsequent publication of two biographies by Sarah Hudleston and Barry Feinberg, finally achieved the aim of giving his life and work a truly national profile. Born Hill’s Kraal, Korsten, Port Elizabeth, 1912; died Motherwell, Port Elizabeth, 2001. Training 1931–1935: Enrolled at Lovedale Teachers Training College. 1931: Watercolour classes under Ethel Smyth for several weeks at the University of Fort Hare. 1937: Course at Rhodes University Fine Arts Department under Professor Austin Wintermoore. 1952: Two-week period of study under Maurice van Essche in Cape Town. Selected Exhibitions 1928: Group exhibition, Feathermarket Hall, Port Elizabeth. 1945: Annual Exhibition, Eastern Province Society of Arts and Crafts, Port Elizabeth. 1988: The Neglected Tradition, Johannesburg Art Gallery. 1991: Solo exhibition, Everard Read Gallery, Johannesburg. 1992: Solo exhibition, Everard Read Gallery, Johannesburg. 1993: Watercolour exhibition, Highbury Gallery, Port Elizabeth. 1996: George Pemba Retrospective Exhibition, Iziko SA National Gallery, Cape Town, Johannesburg Art Gallery; Nelson Mandela Metropolitan Art Museum, Port Elizabeth. Collections Cory Library for Historical Research, Rhodes University, Grahamstown; De Beers Centenary Art Gallery, University of Fort Hare; Iziko SA National Gallery, Cape Town; Sanlam Art Gallery, Bellville; Johannesburg Art Gallery; Nelson Mandela Metropolitan Art Museum, Port Elizabeth; Killie Campbell Collections, University of Natal, Durban; Tatham Art Gallery, Pietermaritzburg; The World Bank Collection, Washington, DC. Awards 1924: Grey Scholarship to Paterson Secondary School, Port Elizabeth. 1937: First prize at May Esther Bedford Art Competition, Fort Hare. 1979: Honorary Master of Arts, University of Fort Hare. 1998: Honorary Doctorate, University of Port Elizabeth. George Pemba, photograph courtesy of Sarah Hudleston.